Uber, the rideshare company, was founded in 2009. Uber’s primary competitor, Lyft, was established in 2012. These rideshare companies are rapidly changing the way many of us travel, and apparently, they’re also saving lives. In 2014, Uber conducted research to determine if rideshare services were having any effect on drunk driving in Seattle. Before Uber started in Seattle, an average of more than seven drivers a day were being arrested there for DUI. Using publicly available statistics, Uber determined that DUI arrests in Seattle had dropped by about ten percent since the company entered the Seattle market. ARE ALCOHOL-RELATED CRASHES DECLINING IN OTHER CITIES? A new study co-produced by Uber and Mothers Against Drunk Driving indicates that Uber, Lyft, and other app-based ride services are also behind the decline in drunk driving incidents in California. In markets in that utilize “UberX” – a popular Uber service that does not guarantee luxury vehicles – traffic crashes involving alcohol have dropped more than six percent among drivers under age 30. 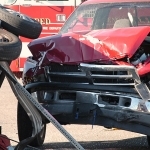 That works out to sixty fewer alcohol-related crashes a month in California since July 2012. An extraordinary number of people asked by Uber – 93 percent – answered that they would recommend Uber to those who are intoxicated and need transportation. The new report also found that ride sharing is significantly impacting traffic safety across the country, and the report cites statistics from Miami, Pittsburgh, Chicago, Tampa, and Austin. If you think Uber is simply producing reports to make itself look good, the company’s claims are now being independently confirmed. CAN UBER’S RESEARCH CLAIMS BE CONFIRMED? In January 2015, Temple University researchers found that the availability of ridesharing at a lower cost than traditional taxi service in certain cities reduced drunk-driving deaths by about six percent. Temple University’s researchers projected that if Uber were available nationally, each year about 500 fewer lives would be lost in the United States in DUI-related traffic crashes. Uber began running in Houston in 2014. “Since we launched in Houston, we’ve provided over 3.5 million safe rides for our customers here in Houston,” said Uber Houston General Manager Sarfraz Maredia. Houston’s Channel 2 Investigates has reported that in the year prior to Uber’s arrival in Houston, there were 6,205 arrests for DWI. One year later, with Uber, that figure dropped to 5,182 – a reduction of more than sixteen percent. Uber’s research in Austin – one of the rare cities that makes available to the public statistics regarding the taxi industry– found that the average number of available taxis in Austin actually drops after midnight. It’s a widespread taxi industry practice that benefits a small number of veteran drivers, but it strands too many intoxicated people when Austin’s bars and clubs close, and without rides, intoxicated people can make very bad choices – like driving while intoxicated. The best way to avoid an arrest for DUI – and everyone’s heard it before – is to avoid drinking and driving. Always arrange for transportation in advance if you plan to enjoy drinks with friends. Use Uber or Lyft, call a taxi or a limousine, or arrange for a designated driver. Paying for a ride may cost a few dollars, but it costs a lot less than a ride to jail, the ER, or the morgue. WHAT IS A VICTIM’S LEGAL RECOURSE? When drunk drivers injure others, along with criminal charges, they may also be liable for civil damages. If someone is injured by an intoxicated driver, that person should discuss their legal recourse, rights, and options as quickly as possible with an experienced personal injury attorney. In Texas, the injured victims of drunk drivers are entitled by law to full reimbursement for their accident-related medical costs, for income lost due to the injury, and for all of their other accident-and-injury-related expenses. 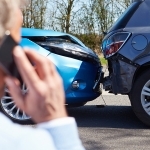 If someone has a personal injury claim against a drunk driver and chooses to move forward with that claim, he or she should let a good personal injury lawyer handle the claim and negotiate an acceptable settlement. If an out-of-court settlement cannot be reached, a good personal injury attorney will take the claim to a trial jury. Most personal injury cases are settled out of court, and if a defendant failed a breathalyzer test and/or received a DUI conviction, a personal injury claim will very likely prevail. Dallas personal injury attorney Richard Weaver is right about the rideshare industry being “a remarkable thing.” Today, Uber’s services are available in more than sixty nations and more than four hundred cities around the world, and the business is worth an estimated $62.5 billion. Lyft operates in over two hundred U.S. cities and is valued at $2.5 billion. Lyft, Uber, and other rideshare services are now expanding into even more cities and states. That’s good news, and not just for impaired people seeking rides. Everyone traveling on the streets and highways of Texas is just a little bit safer now thanks to Lyft and Uber.